Recovering from a difficult period, Arabian Cement has a strong future under the leadership of Sergio Alcantarilla. 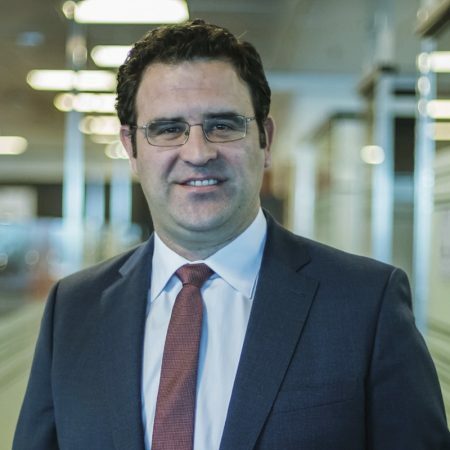 Recently appointed CEO of Arabian Cement, Sergio Alcantarilla may be new to the role, but through proper strategies and a thrill for serving clients, he is realising the company’s full potential. Arabian Cement Company (ACC) was first established in 1997 by a group of Egyptian entrepreneurs who sought to establish a leading cement company in the country. Located in Suez Governorate, Egypt, it produces approximately five million tonnes of cement annually – 10% of Egypt’s production – and was listed on the Egyptian Stock Exchange on 18 May 2014. The company is a joint venture between Cementos La Union, a Spanish investor holding the majority of shares, and a group of Egyptian investors. In fewer than 10 years in the Egyptian market, it’s become one of the top performers in the industry where it now owns the fourth-largest cement plant in Egypt. Since 2012, Sergio was operating the technical side of the business as the company’s COO. “Being the industrial engineer, I enjoyed and learned a lot from each and every single technical aspect of the business, from the principles of the mix to soil mechanics.” Sergio studied for an Executive MBA prior to his new role so he may better “serve my obsession to serve the customer”. He admits as CEO he has had to learn a new ‘language’. “I dealt mainly with different companies in the past: experts who knew the technicalities of the business I was leading, so we were ‘technically’ speaking the same language,” he says. Now Sergio is responsible for both financial and commercial transactions as well. When the Central Bank of Egypt (CBE) unexpectedly announced the free-floating of the pound on 3 November 2016 to alleviate an ailing economy, the new rate was intended to serve as a direction to jump-start the market, from where the bank would then float the pound. “It completely changed everything,” says Sergio. It exacerbated prices for imported goods, most importantly fuel and food products. The CBE had devalued the currency to 13 EGP per US dollar, but the limit they fixed jumped on the very first day of real EGP trading. In the first week, it stabilised at 18 EGP per US dollar, which is roughly where it still sits today. 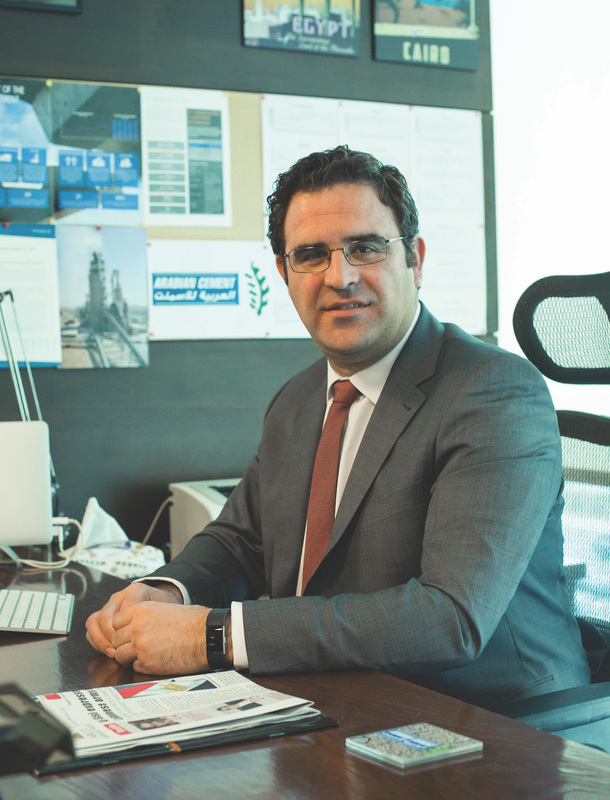 Like many companies in Egypt, ACC suffered greatly from the Egyptian energy crisis, although it was lucky to see it coming early enough and was the first company to invest in coal conversion metrics “even when there was no law about solid fuels in place because there was no stable government in this country,” Sergio explains. Like many companies in Egypt, ACC suffered greatly from the Egyptian energy crisis, although they were lucky to see it coming early enough. “I had many contacts in companies such as BP, BG, Eni Group and Apache who knew of the problem, could see that the gas shortage was coming, and that it was going to last for more than three years. We decided to go ahead with investments in coal conversion, so in 2014 when the Egyptian Government started a strategy for phasing out energy subsidies and issued regulations about coal, we already had installations in place to start consumption." This push to put additional effort into improving its energy performance saw ACC partner with UNIDO through the industrial energy efficiency program where it received support in the implementation of an EnMS complying with ISO 50001. In May 2017, ACC was chosen from 37 entries to receive the Award of Excellence in EnMS from the Clean Energy Ministerial (CEM), a high-level global forum that promotes policies and programs to advance clean energy. Sergio’s medium- to long-term goal for the company is to take steps both horizontally – expanding into other regional markets – and vertically by expanding ACC’s range of products and services to satisfy the growing local demand. “There is also always room for customer service: without customers, we can do nothing,” he says. Sergio plans to enlarge ACC’s subsidiaries, set up procurement initiatives, and increase local supplier numbers. “We can eventually substitute imported products for locally manufactured goods, as we are currently quite dependent on imported products,” he says. Along with the company’s strong relationships with suppliers built on shared experiences, collaboration, and transparency, Sergio points to the importance of “always being aware about what to do, what other people are doing, and what the trends are to improve things”. “We are very flexible and very fast in making decisions. This is something few of our competitors have. The underlying culture here in Egypt is very centralised; everything has a core, like a boss, where that one person makes all decisions. So it takes time to reach this person. “Here at ACC it’s a little more decentralised. In multinational companies, they cannot make their decisions straightaway without consulting the mother company or other entities. So at ACC we have a distinct advantage, as we are able to act quickly.” The company had a successful comeback after the 2016 float: once the Egyptian pound was floated, ACC was trading the following month. “We were the first company to start exporting cement. And today, six months after the flotation, although the market here has fallen 10 per cent, ACC succeeded in keeping its total sales volumes. This was thanks to its more than 40 per cent market share in exported cement from Egypt. The company has so far exported cement to Libya, Yemen, Kenya, Madagascar and Somalia. 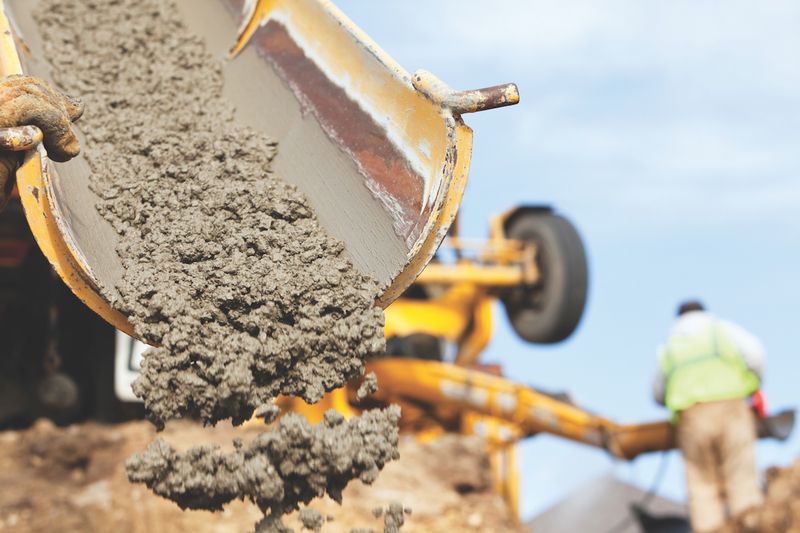 By pushing boundaries and measuring energy consumption levels for almost every single material, Sergio has ensured savings, efficiency, healthy revenues, and growth for Arabian Cement. “We have built a reputation as a very serious company that consumers are happy to work with – we’re the company people like to use.” A clear measurement of success.